We have been proudly offering our services for nearly 60 years. We offer electrical services and Thermal Imaging Infrared Inspections to the greater El Paso area and Southern New Mexico area specializing in commercial, residential and industrial electrical work. We are licensed and bonded in Texas and New Mexico. Family owned for nearly 60 years. We proudly offer our services to the El Paso area and New Mexico. Providing the best quality of work. Providing a safe work and living environment. Adding new additions to your house? 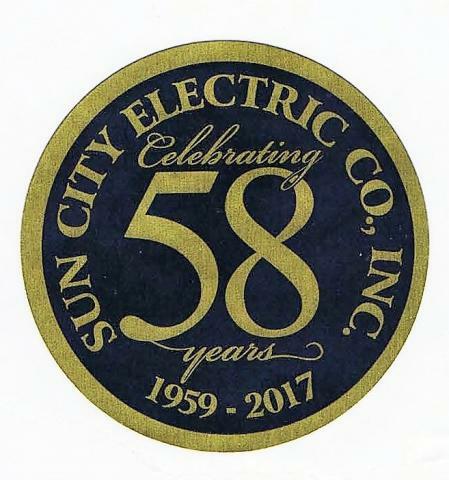 Sun City Electric Company Inc. is dedicated to providing the best quality of work to all of our clients. We strive on the integrity of our work and maintain a safe environment for our workers and clients. We are proud members of the Greater El Paso Chamber of Commerce, Independent Electrical Contractors of El Paso (IEC), El Paso Apartment Association, ISNetworld, and Ariba Network. 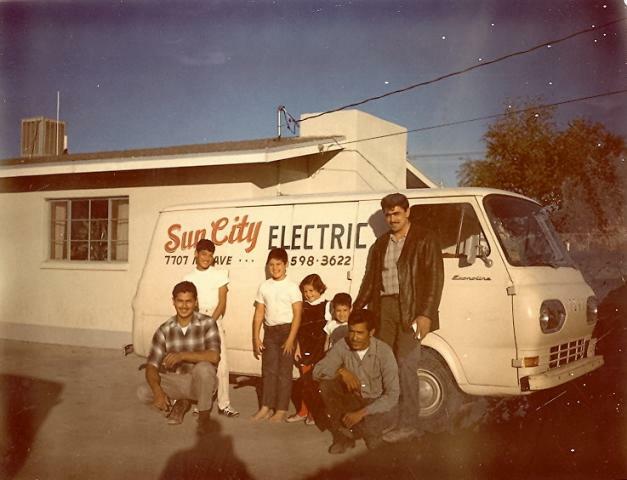 Sun City Electric has been family owned and operated since 1959.